Verka There are 14 products. Available in two different sizes 14x11 for 12x8 print and 14x11 for 10x8 print. 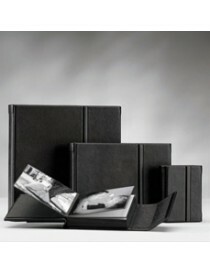 Stunning black linen box which houses 18 white bevelled inserts.A great way to showcase your images. Trade only. Please contact the office to access full brochure and prices. 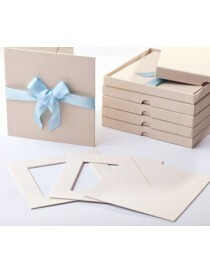 The Portfolio Box offers a totally unique way to display your images in a classic style. Each box can hold up to 20 mounted prints. Our individually-cut mounts are offered with various sizes and mount colour options, each mount and/or box can additionally be foil embossed. Trade only. Please contact the office to access full brochure and prices. 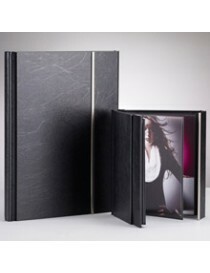 Beautiful Black Folio with a black ribbon and textured presentation box.This product can be used as a double folio for 5" x 5" images or to display a single 5" x 5" image and an envelope is provided to house a DVD/CD. Trade only. Please contact the office to access full brochure and prices. Beautiful Grey Folio with a grey ribbon and textured presentation box.This product can be used as a double folio for 5" x 5" images or to display a single 5" x 5" image and an envelope is provided to house a DVD/CD. Trade only. Please contact the office to access full brochure and prices. 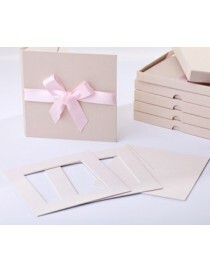 Beautiful Cream Folio with a pink ribbon and textured presentation box. This product can be used a double folio for 5" x 5" images or to display a single 5" x 5" image and an envelope is provided to house a DVD/CD. Trade only. Please contact the office to access full brochure and prices. Beautiful Cream Folio with a blue ribbon and textured presentation box.This product can be used as a double Folio for 5" x 5" images or to display a single 5" x 5" image and an envelope is provided to house a DVD/CD. Trade only. Please contact the office to access full brochure and prices. 16"x12" 5pg/10side Also available in A4. Trade only. Please contact the office to access full brochure and prices. 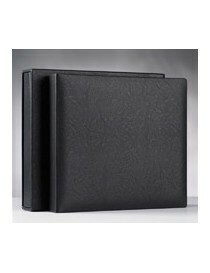 for 8"x8" maximum print Bookbound album with 20pg/40sides and pergamin interleaves Trade only. Please contact the office to access full brochure and prices. 8"x8" 6pg/12sideBlack covers with black leaves and white covers with white leaves. Trade only. Please contact the office to access full brochure and prices. 7"x5" 6pg/12side Black covers with black leaves and white covers with white leaves. Trade only. Please contact the office to access full brochure and prices. 4"x4" 6pg/12side Black covers with black leaves and white covers with white leaves. Trade only. Please contact the office to access full brochure and prices. 3.5"x2.5" 6pg/12side Black covers with black leaves and white covers with white leaves. Trade only. Please contact the office to access full brochure and prices.